A reminder that if your child is staying home or will be arriving late to school to inform the office by emailing Mrs. Wodtke by filling out the form below or by calling the office at 604.795.5312 and leaving a message before 9:00 am. 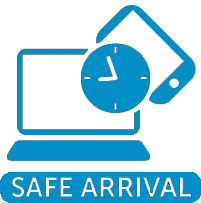 Our secretary, Mrs. Wodtke, will continue to call home for unexcused absences as part of Robertson's Safe Arrival Program. Cold and flu season seems to be upon us, so please keep your child home if he/she shows any symptoms of illness. We are trying to prevent the spread of germs by promoting good hygiene such as coughing and sneezing into our ‘arms’ and washing our hands carefully and often.